I thought with all my home renovations projects (found here and here), you might be ready for something different! So, a sewing post is in order. A friend on mine has a very talented mom who made this super cute apron; I knew I wanted to copy it, and put my own spin on it! Before I give you the how to, how about if I show you the final product?! I call this one "The Double Ruffle"
Steps to a fun apron! Pin along the 3 raw edges. On one of the "short sides", only sew it 3/4 closed, so you will have a space to turn the fabric right side out. Turn the fabric right side out, using the small hole you left on one short side. 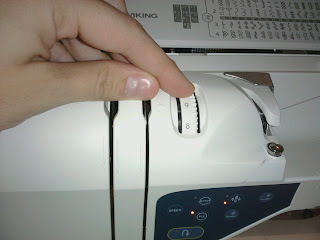 Sew a basting stitch (longest stitch setting on your machine) the length of your fabric (long ways). Pin your gathered ruffle to your hand towel. Sew your ruffle to the towel. Starting at one end of your tie, sew the tie together, and continue the length of the hand towel all the way to the other end of the tie. Hmmm. Looking a little plain. I know, Ric Rac! Pin on your ric rac, and sew it to your hand towel. Cute! Love the ruffle twist, and anything with giant ric rac wins my heart over :) We'd love if you came and linked your project up to our fabric linky party today! Super cute, what a great idea!!! Great tutorial!!! Oh my word! These are adorable. I love this idea but alas, I do NOT sew and refuse to learn. You did a spectacular job. I saw your link at Between Naps on the Porch. Thanks so much for sharing and inspiring. What a cute and handy apron. if only i could sewwwwwwwwww. ugh. i need sarah sewing bootcamp! super creative~! love the idea since an apron is great for wiping grimey hands! How stinkin' cute are you?! Love it!!! Oh! Those are GORgeous! Beautiful job! I'm your newest follower! I absolutely adore this...simple..easy and very affordable...all the qualities I love. DArling! Darling! Darling! I am highlighting this at somedaycrafts.blogspot.com. Thanks for linking up, we'll see you next week! I'm glad to have found your site! Very cute, although I dread to think how many towels I would need to cover my big preggo belly now! :P Thanks for linking up to the Mad Skills party! Very cute. I may have to make one of these. Thanks for sharing. These are SUPER cute! I love the single ruffle one. That it so cute. I was thinking of making an apron, and after seeing yours, it is at the top of my to do list. Thanks for sharing. What a great idea! Love the black polka dots, and of course Ms. J couldn't be cuter! Visiting from Show off Your Stuff. This is too cute! 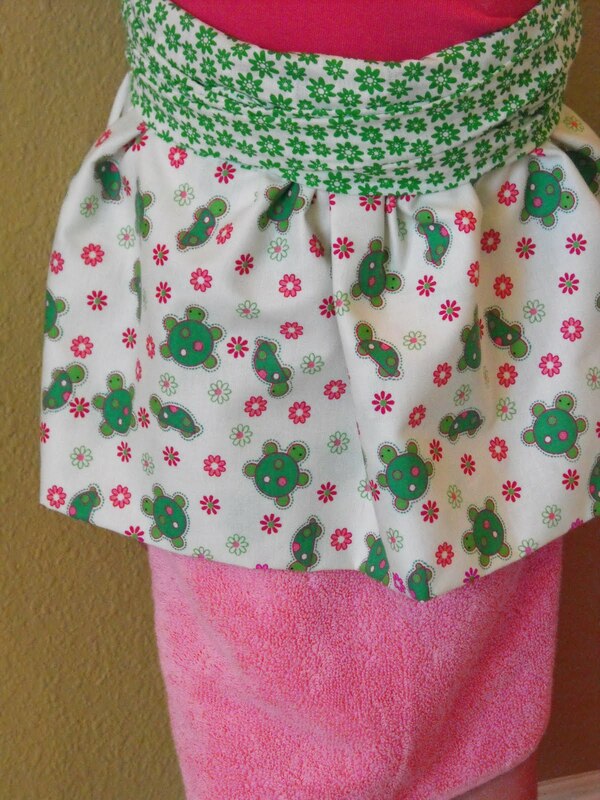 I've seen hand towel aprons before, but the ruffles and embellishments make your much cuter. Adorable. How very creative and useful! I love the apron. Your blog is wonderful too! Thanks for sharing. This is adorable!! Great tut! These are both so cute! You did a great job! I think I like the single ruffle with ric rac the most! I'm following you now! Found your link on Somewhat Simple's link party! I love how this came out! So much that I featured it in my Friday Fave 5 post, you should check it out! Very cute! I am huge fan of aprons! Thanks for the great tute! I am hosting a new party this weekend and would love to have you link up! I HEART THESE! They are so incredibly ADORABLE! Thanks for sharing on Shabby Nest! This is SOOOOOO cute! I have to make this - thanks for the tutorial!! sarah, these are precious! hope you link up to our "a crafty soiree" party on thursdays... linkys still open we'd love to see you! I subscribed today! 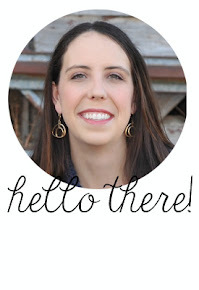 Love your blog...I'm so excited to learn from you and others!! Oh yeah another awesome one, dang I love it. Ok you can add this one too, he he, :) Oh man, you have such fun stuff here. Super Cute! Excellent tutorial too! Just letting you know you have been selected today as one of the TOP 10 PICKS amongst our many DIY / Craft tutorials submitted. how many inches wide are the ties? Thank you for stopping by my blog! For the "single ruffle" apron with the ric rac, the ties are 8 inches wide. They are then folded over the top of the towel. I made this tie a little wider since I wanted to use the ric rac, and since there was only one later of ruffling. For the "double ruffle" apron, the ties are 2.5 inches wide. You then fold that over the top of the hand towel. The finished width will be about an inch. I made these ties skinnier since I had two layers of ruffles. Hope this helps! oh my this is so much something for me!!!! I always whipe my hands to my kitchen towels... But this is sooooo much nicer!!! Gonna save tis idea to make myself one! Thanx for sharing. Thanks for posting this. those are waist apron right? That was really impressing that your design are not like other aprons you have your uniqueness. Very cute, What a fun idea for an apron, I will have to share this with my mother. Hopped on over from My Backyard Eden, and having a great time getting lost in all your fun pages. This apron is adorable! I am going to feature it on somewhatsimple.com this Thursday. Thanks for the inspiration! I loved these when I saw them!! I just made the single layer one but I have a problem...there is no way the ties are long enough!! I used one yard of fabric but there's only about 4 inches of overhang on each side. I'm a normal size 12 but this won't come close to tying. Did I do something wrong?? 1.5 yards for the ruffle and 1 yard for the ties, right? If you look at the part of the tutorial where I talk about cutting your fabric for your ties, you'll see that you take your yard of fabric and cut it in half (long ways). You then cut it in half again, and sew those two long strips together. This will be your tie. When measured, it should be 2 yards, or 72 inches in length. Plenty of room to tie! hope this helps! Yes!! I went back to the craft room after I wrote you and reworked it. I love it!!! Thanks so much for your help!! Really nice technique. Thanks for the article. I tried making one of these and LOVE the pattern you have shared!! Hand towels are expensive (thick ones at wal-mart are $7.96) do you think an inexpensive towel cut in half would work?
? what would you call the white fabric you are sowing to the back of single green apron fabric? Your instructions we're spot on! LOVE the pictures to go with it too!!! I made 3 of these for my girls's teachers and now I want one for myself! I'm going to link you to my FB when I share my pics with my friends. Thanks SOOOO much!! 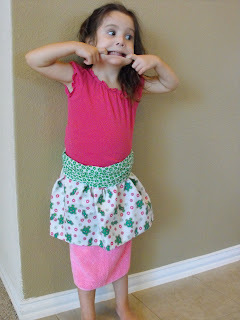 Was wondering how you make the double ruffle apron? Is it different than the single layer and the tie looks different too? Would love to make both of them. How do you make the double ruffle apron? It's really cute and I would really like to make it. Thanks. I know this is an older post, but it's new to me and I think it's fantastic! I'm making several to give as Christmas gifts, but I have a question about the ruffle step. After you turn and press it, did you close the hole? Did you top stitch the entire ruffle, or just hand tack the opening? How do you buy bath towels? Crown Moulding--You CAN do it!